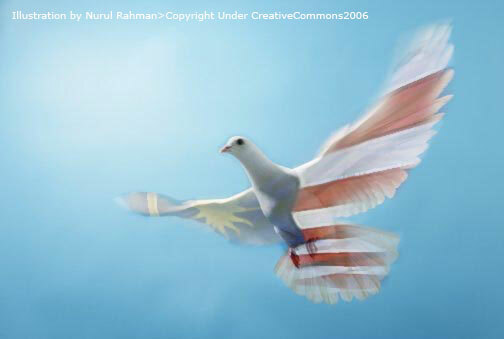 How important is the National Identity to Malaysian? Is it not Malaysian without the these identity? I thought the hard part was to make the website and to get it up here. But hell no! (sorry for my language) It wasn’t! That was only the starting point of the hard part or perhaps not even near. Well, this site that hard part is how the hell to get the people discuss about problems. Or maybe i should make it clear there are problems. In fact, ambulance yes that’s what i need to do. Perhaps they didn’t realise that there are so many possibilities to improve or to sustain things. I’m talking more about the forum. As in this page i should write my reflections of the research forum, I guess that is what i’m doing now. Is this the reflection? In the beginning, I’m trying to figure out “how to make people visit my forum”. Is it strong enough to get people interested? How about the design and navigation? Is it friendly and easy enough for people to browse? Then how about the concept? What about the concept? And so many more to think about..And still that part is not yet finished. At this moment, I’m still trying different methodologies of branding and advertising strategies to make it accomplished. Later, the next part will be how to make people participate? Why do they want to participate? What can i offer them? What are the things that might interest them? And on, and on, questioning myself about it… and still if anyone can help me… please do not hesitate to give me some ideas… “how to make people write and tell me what they think about the topic?”…..
better off than in the middle of the forest. How and others, that relate to it! Do designer need a client to start designing? analyze the activities in the Roundtable (forum). It will be the researchers thoughts, opinions, and ideas that is an outcome from Roundtable (forum).